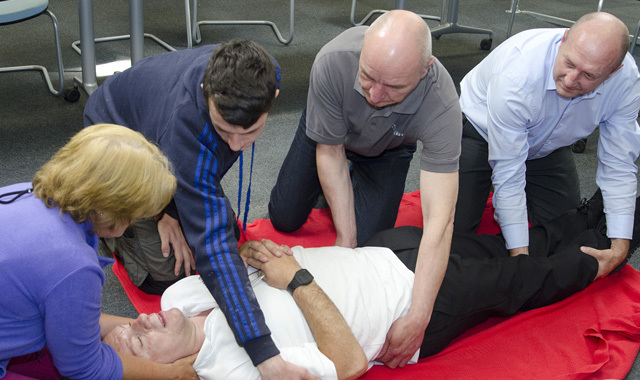 The Emergency First Aid at Work Level 3 qualification (EFAW) is ideal for most businesses whose risk assessment has identified that there is no requirement for a fully trained first aider for their workplace. All courses are delivered, evaluated and quality assured to meet the new guidelines set out by the HSE in October 2013 and meet the requirements of the First Aid at Work (First Aid) regulations 1981 and subsequent 2016 changes. This course also covers paediatric and child first aid subjects. All resuscitation council and health & safety executive recommendations and regulations will be continually updated and included in all sessions, ensuring you and/or your employees receive the most accurate and up to date teaching. Meets current 2015 resuscitation regulations.